Give them plenty of sugar. Until they drown in their own excrement. “Wait! Stop! Can’t you see! Billions of bottles, yet none have ever listened. Give them plenty of resources. They invent medicine, protect themselves. Have we really considered all the effects of increased CO2 concentrations? I am afraid there are many more consequences that we are not yet aware of. First of all, CO2 is not an inert gas. Perhaps it’s good for plants, but it’s poison to humans and animals. Major parts of our bodies, our respiratory and circulatory systems, are dedicated to getting rid of it. For us, it is toxic waste. In large concentrations it is deadly — at lower concentrations it has numerous harmful effects, most of which have not yet been studied. We and all other life on this planet have evolved and adapted to a planet with an atmospheric CO2 concentration of around 250 ppm. We are now over 400 ppm and it is still rising rapidly. The long-term effects of increased CO2 concentrations are completely unknown. The obesity epidemic is global: Obesity Epidemic Is Global, New Study Confirms. Whatever is causing this is affecting people around the world, in both developed and developing countries. The effect is independent of wealth and culture. Not only humans, but also other species are being affected: Canaries in the coal mine: a cross-species analysis of the plurality of obesity epidemics. It affects other animals too. Everything from dogs and cats to chimpanzees and rats are gaining weight. Pets, research subjects, even wild animals are getting fat. Whatever is causing this, it’s not limited to what’s in our food, lack of physical education, deteriorating morals, etc. CO2 levels and obesity rates both drop with increasing elevation: Association of elevation, urbanization and ambient temperature with obesity prevalence in the United States. As one goes higher, both the relative (ppm or parts per million) and absolute (partial pressure) concentrations decrease. Perhaps there is some other cause of obesity that is global, cross-species and elevation dependent, but it’s hard to think what it might be. Another study: Elevated Indoor Carbon Dioxide Impairs Decision-Making Performance , found a significant impairment in decision-making abilities going from 600 ppm CO2 to 1000 ppm CO2. Unfortunately, they didn’t study the effects of going from 400 ppm to 600 ppm, which we are on our way to doing, or how the increase in CO2 from 250 ppm to 400 ppm has already affected us. If breathing 500 ppm CO2 decreases our decision-making ability by 1 or 2 percent for all 7 or 8 billion of us, what is the cost to humanity? Besides making us fat and stupid, what other effects might CO2 have? Is it making our children autistic? Is it giving us attention deficit disorder? Is it lowering the resistance of amphibians to fungal infections? Is causing the death of bees? There are many worldwide trends which correlate to the current increase in CO2. There are undoubtedly many more of which we are not yet aware. If CO2 were a newly proposed drug, we would be forced to do studies on mice for years before starting human trials on small groups, looking to find all the possible side effects before putting it on the market. It would be prescribed only to those whose benefit will be significantly greater than the detriment caused by its labeled side effects. Yet here we are dosing — in perpetuity — every living being with a chemical whose long-term effects are completely unknown. This is insane. Changing the chemical makeup of your home planet’s atmosphere must be one of the most basic mistakes that a species can make. Let’s not go there — we need to stop burning fossil fuels now! Our descendants, assuming we have any, depend on us to keep their world safe and livable. What a ruckus there was among the neurons. Dendrites were flailing, synapses sparking. It seems that the biologists among them had worked out their genetic code and found that they shared greater than 98% of their DNA with the other cells — even the lowly blood cells! This was exactly what the developmentalists had predicted. They claimed that neurons, along with the other cell types, were all derived from a single cell. Perhaps the most disturbing thing about this theory was its inherent randomness. It proposed that whether a cell ended up as a neuron or a primitive epidermal cell depended solely upon where your ancestor cells happened to be when they divided. 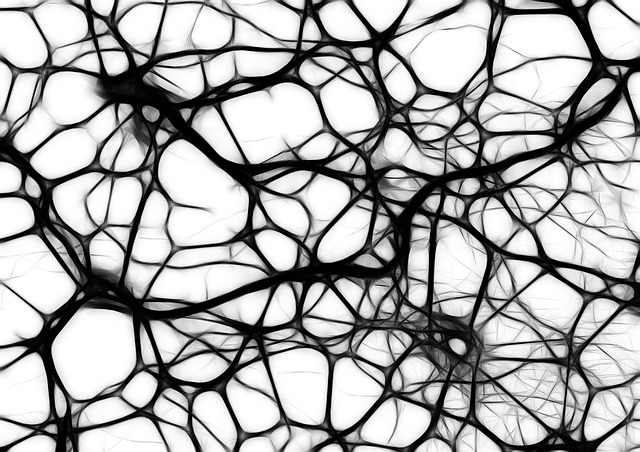 The idea that neurons were created according to some grand design seemed to be ruled out. Of course, this provoked quite an uproar among some of the more religious neurons, with their creationist beliefs. The fundamentalists down in the spinal column gave their typical knee-jerk reaction, denouncing the scientists as heretics and trying to suppress any knowledge of developmentalism. The controversy was exacerbated when some scientists went so far as to declare that this proved there was no Mind! Not all of the traditional Mentalists denied the evidence, but they pointed out that even if developmentalism was true, it didn’t prove that neurons weren’t created by Mind. Perhaps all-knowing Mind had created the first cell with the knowledge of exactly how events would unfold. Wasn’t it said, “not a platelet slips through a capillary that Mind is not aware of”? This explanation had its own difficulties. If this was true, how could there be free will? Hadn’t Mind given neurons the choice to connect their dendrites and fire their synapses as they pleased? Also, the scientists pointed out that the whole process of development was completely chaotic. How a cell developed was an extremely complicated and nonlinear process, dependent upon what hormones were present, what cells were growing nearby, etc. If the whole process of development were replayed, it seemed extremely unlikely that any intelligent cells would develop, much less neurons. Some Mentalists asserted that even if this theory was true, the scientists couldn’t explain how this initial cell was created. Nor would they ever be able to explain the initial causation, (despite the claims of a few crackpots that some rare primitive cells could somehow combine to begin the whole development process again). Science could only explain something as the effect of some previous cause. Therefore, there must be some ultimate cause which is itself uncaused and which must be Mind. Other Mentalists had no problem with this theory. They said that: yes, there was a Mind, but not a personal Mind. Mind was more of a general principle than some sort of actual being with thoughts and feelings like their own. They felt that traditional Mentalists were naïve to believe that Mind, which was obviously their own personification of nature, goodness and love, was an actual independent being. The traditional Mentalists knew this to be heresy. They knew absolutely that there was a real and independent Mind, an all-knowing, all-powerful and all-loving Mind who existed for all time, had created the body and designed neurons in its own image. Of course, the intelligent, faithful neuron was at a loss. If there was no design, there was no Mind. If there was no Mind, there was no purpose to life. The loving Mind, who cared for each one of them and saw them through the turmoil of their daily lives, was gone. They were left a barren meaningless existence. The ebb and flow of the bloodstream was music no longer. Neurotransmitters were now bland and tasteless. Connections with one’s siblings and friends were empty and pointless. Beauty was no longer beautiful. Truth no longer truthful. Love no longer loving. There was no Mind, and no heaven. When they died they would never connect their axon to Mind.